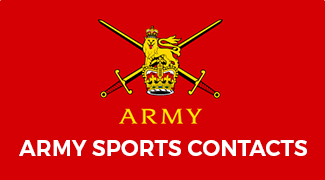 The Army Tennis and Rackets Association compete in two sports, Real Tennis and Rackets, and welcomes both new and experienced players. Real tennis is the sport from which lawn tennis is descended. The court is indoor, larger than a lawn tennis court, and has walls and sloping roofs that form part of the playing area. The ball looks like a lawn tennis ball, but is substantially heavier and harder, and the game is played using highly-strung wooden rackets. It is a sport where tactical ability plays as strong a part as physical strength and where accurate positioning of the ball in the court is key to success. Rackets is an indoor sport similar to squash, but played on a larger court with a hard ball and highly-strung wooden rackets. It is an extremely fast game that requires high levels of hand-eye coordination, and is played as both singles and doubles. RMAS has one of fewer than 30 courts remaining in the UK. The AT&RA compete throughout the south of England, primarily against civilian clubs. The highlight of the season is the Combined Services Championships with real tennis and rackets played over three days at The Queen’s Club in London. There is also an annual Combined Services real tennis match against the MCC played at Lord’s.